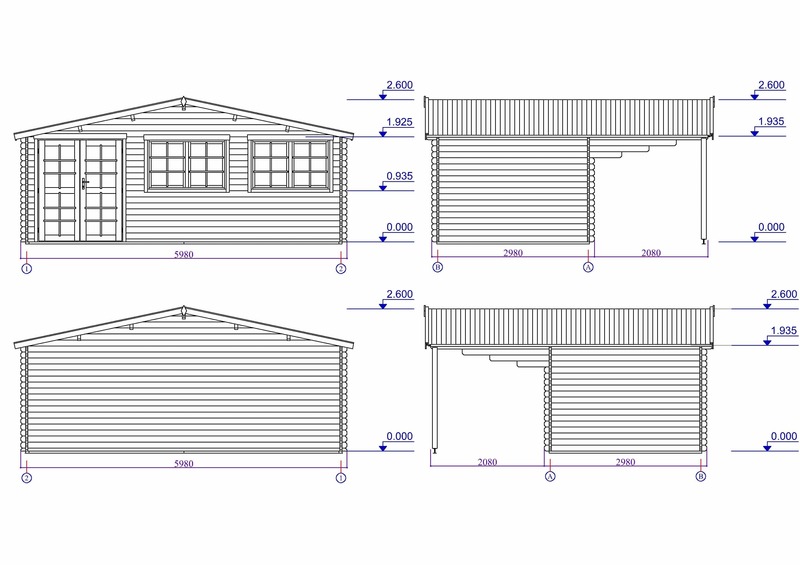 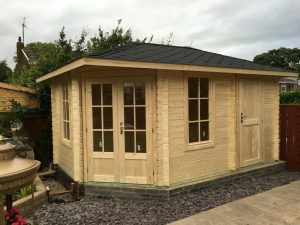 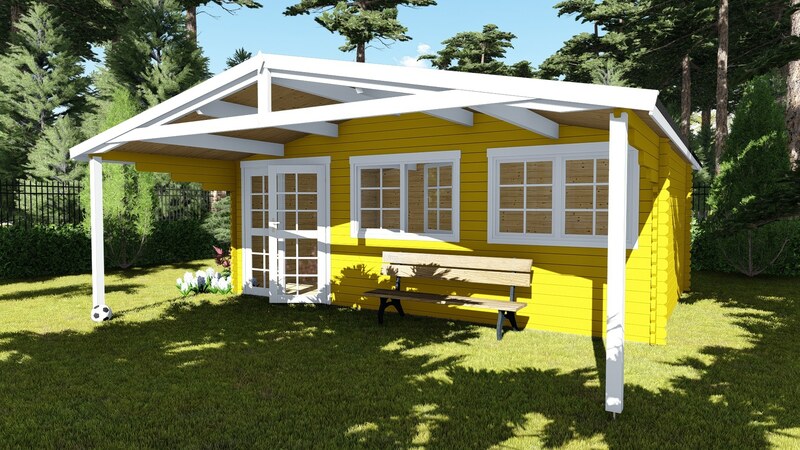 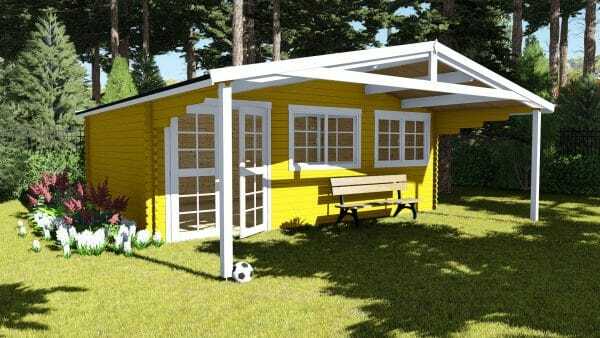 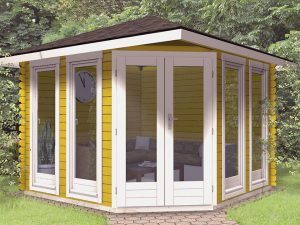 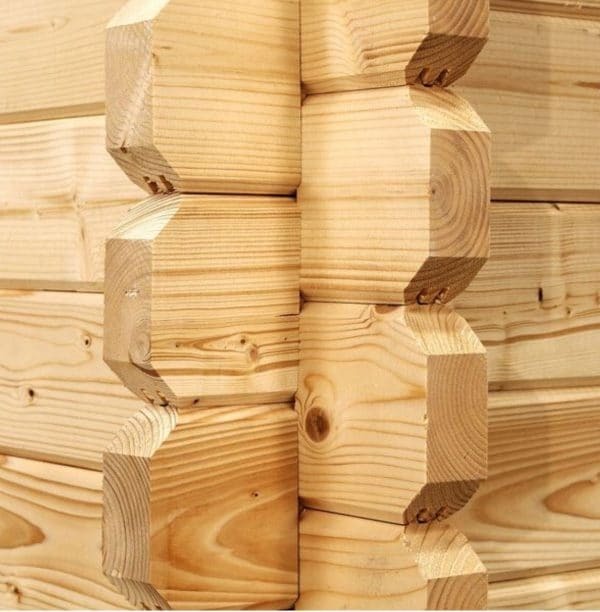 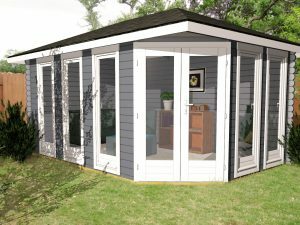 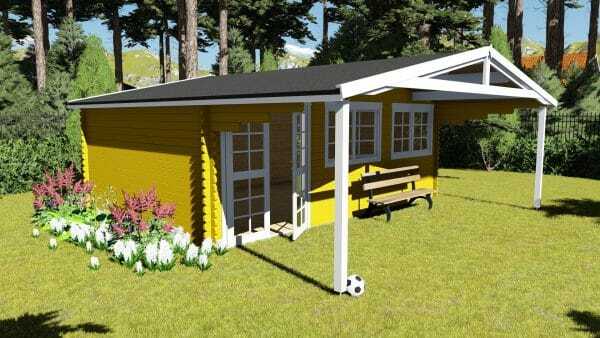 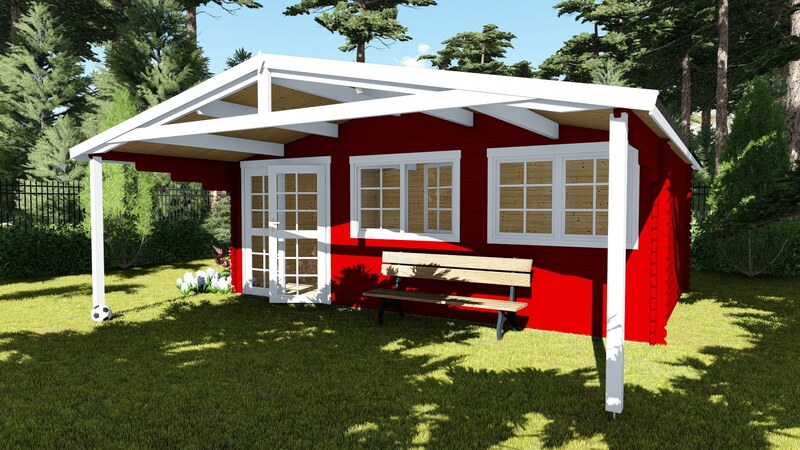 Log Cabin/ Garden Building MadridPro 6mx3m+2m/ 40mm thick is a perfect outdoor room for use as a garden office/gym studio. Modern and practical. 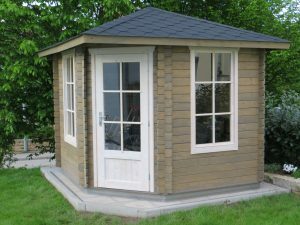 Better than any competitor, this cabin comes completed with 19mm T&G floor boards, pressure treated bearers and shingle tiles. 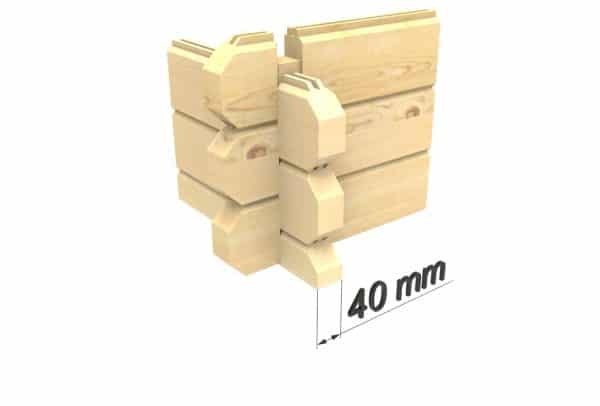 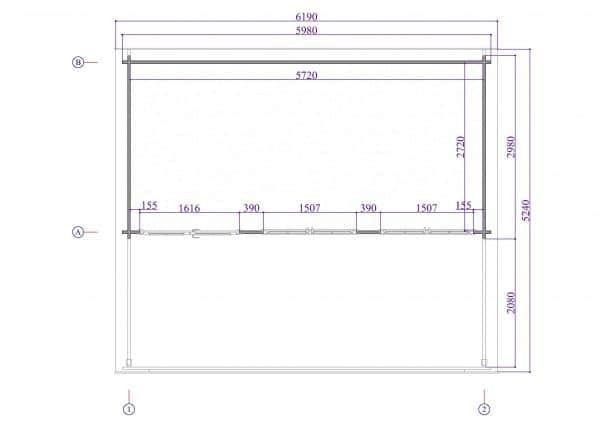 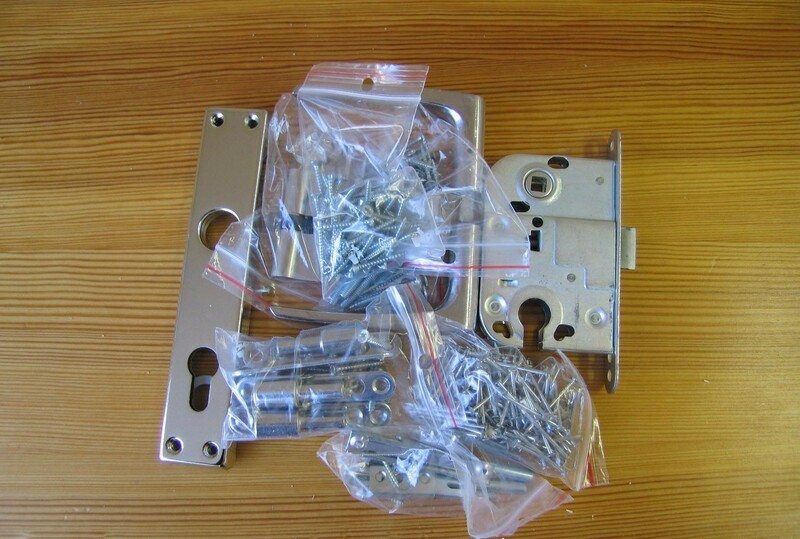 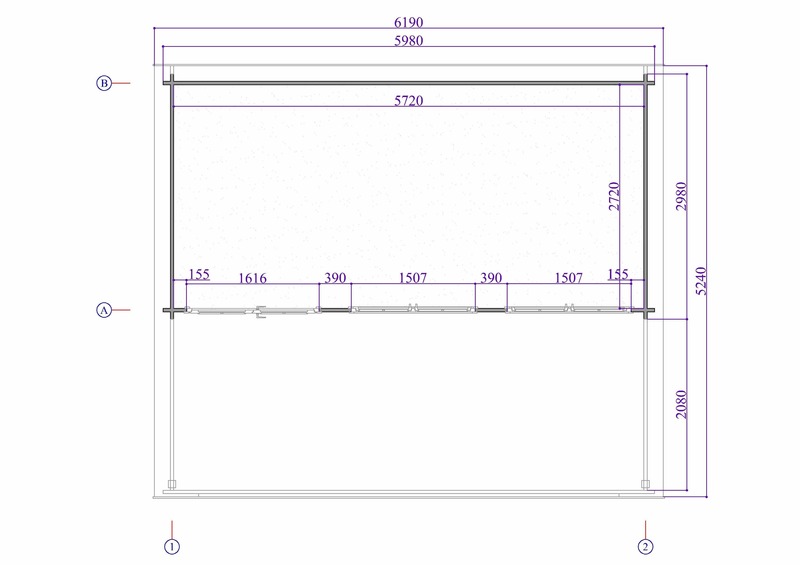 Additional information: Pressure treated bearers (40mmx60mm), wind braces, assembly kit, real glass in windows and doors, cylinder lock, product schema manual.